Seeing your own true identity enables you to also, in the same instant, become aware of all humanity’s true identity, not based on race, culture, nationality, or physical appearance. These things are just objects of human awareness, particular items and facts that you are simply aware of. They are all contained within what you really are, human awareness. In being and doing simple seeing and listening, you are being true to your real nature and essential structure. Human awareness is always what you are actually being and doing. All else is but phenomenon to be observed within this one fact. You are a living, seeing and listening nothing, changing moment to moment, with nothing opposed to it, nothing outside of it, but containing all that is actually happening in awareness. This is vital, dynamic action, not the static lie of racial and national identification. Have you realized that your true identity is all of human life in an inseparable whole? You must first be deeply aware of what you truly are to experience or express global unity. It is the only opportunity to establish connectedness on sound ground. Global unity is a matter of scientifically affiliating yourself with the entirety of humanity. Human awareness as your true identity defines and shapes your relationship with everyone else in the world. You must drop, immediately through realization, erroneous doctrines and opinions concerning your body and culture. Only human awareness is the real connection between all humans, and only the individual realization of this will result in global unity. In your true identity, silly divisions cease and the idea of race and nationality loses its significance. Race has very little meaning for you, and its importance or value drastically diminishes. You may call the marvelous unchanging reality that you really are whatever mundane or mystical word one choose, but your true essence is certainly not the ephemeral labels and transitory explanations of race, nationality or culture. Everything else is secondary within this primary invisible and imperceptible self. Your realization of being human awareness is the foundation of your permanent relationship to all humanity. Your search for common ground is over and you have entered the realm of global unity. 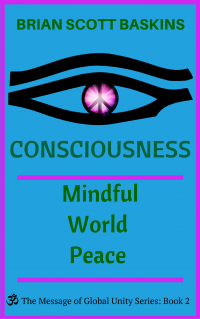 Consciousness Mindful World Peace is Book 2 in The Message of Global Unity Series. Come and experience this exciting communal reading experience! 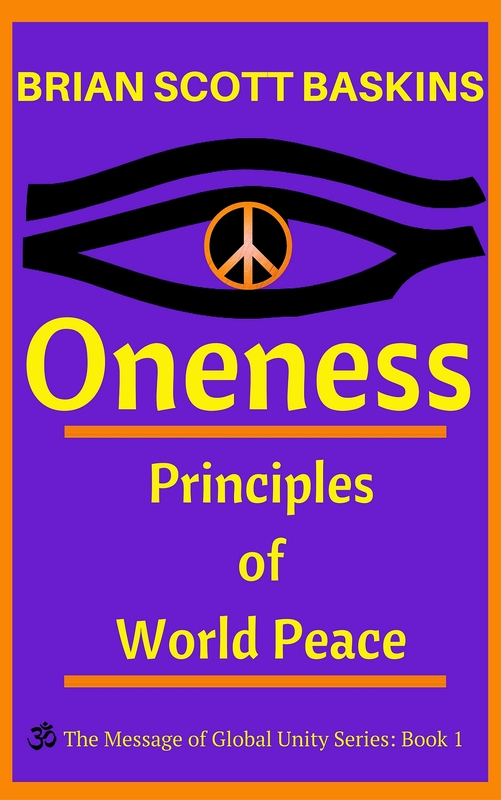 This book advises that world peace is in plain sight through the reader’s glimpse of the essential nature already uniting humanity. Awaken to the understanding that we are all connected, that we are already One. Through this interconnectedness you transform your relationship to humanity and discover that you already belong in the universal dimension of global oneness through the unity of awareness. Get that sense of a bond and togetherness created by what we share, and a way to interact and come together in the oneness and world peace movements. In meditation, we begin to make friends with ourselves in a fundamental sense. Through mindful meditation, one begins to see the simplicity of one’s original state of mind and to see how conflict and aggression are generated by ignoring the peacefulness of our being. Meditation is an essential travel partner on your journey of personal transformation. Meditation connects you with your soul, and this connection gives you access to your intuition, your heartfelt desires, your integrity, and the inspiration to create a life you love. Meditation is a “Onederful” opportunity to be creative. Meditation is the means by which peace comes from within. Do not seek it from without. 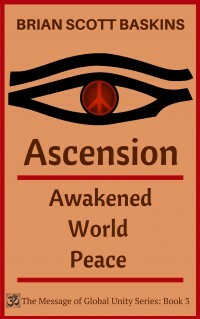 Let inner peace be released into world peace. Can we see oneness in every encounter — with friends, pets, natural elements like water and fire, and even oneself? Through meditation, we start to see that “we are them” and “they are us.” Experience wholeness and oneness and peace and harmony through seeing the importance of awareness in everyday life. See through the illusion of separateness! Oneness can be achieved in meditative states even if as a temporary experience; the more one brings oneself into that space, the easier it becomes to “Be” in the oneness and the easier to return as one breaks away from the conditioning, filters and beliefs acquired throughout this life experience. If you enjoy reading Louise Hay, Tara Brach, and Debbie Ford, then this book is for you. Once readers have finished this book, they will realize that global unity can be immediately accessed by anyone seriously interested in it. Through this abiding interest, the reader is free to forge a unity that is the foundation for real change upon the planet.